Two teams. Five chilis. Five canned beers, 10 draft brews. Four large flat-screen TVs. 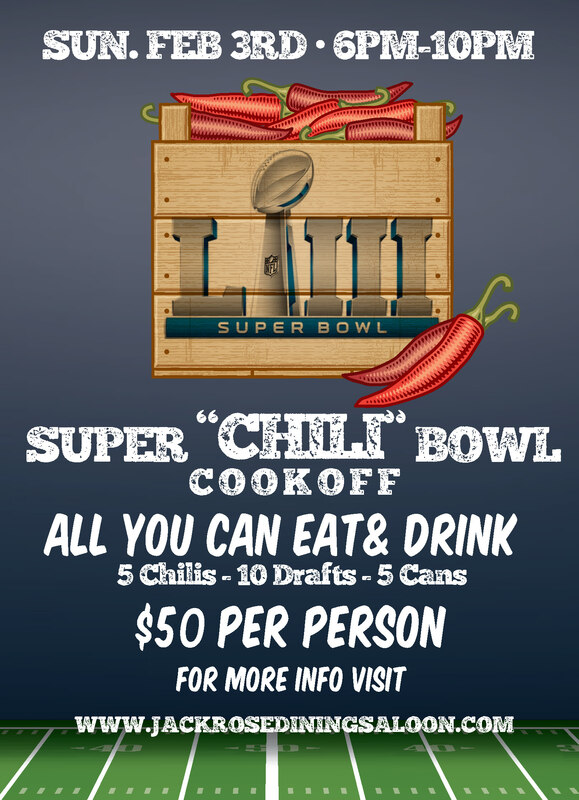 As the final two football teams face off for the title of NFL Super Bowl Champion on Sunday, February 3, we’re hosting our annual Super “Chili” Bowl Cook-Off on our heated, terrace rooftop: an all-you-can-eat-and-drink viewing party featuring unlimited homemade chilis and craft brews from 6pm-10 pm!